OK, Ol' Myrt here is stepping up to the plate and has hired a consultant to enhance my understanding of existing DNA test results, and map out future research strategies. I've decided to host a video series, Demystifying My DNA Tests, documenting this journey. 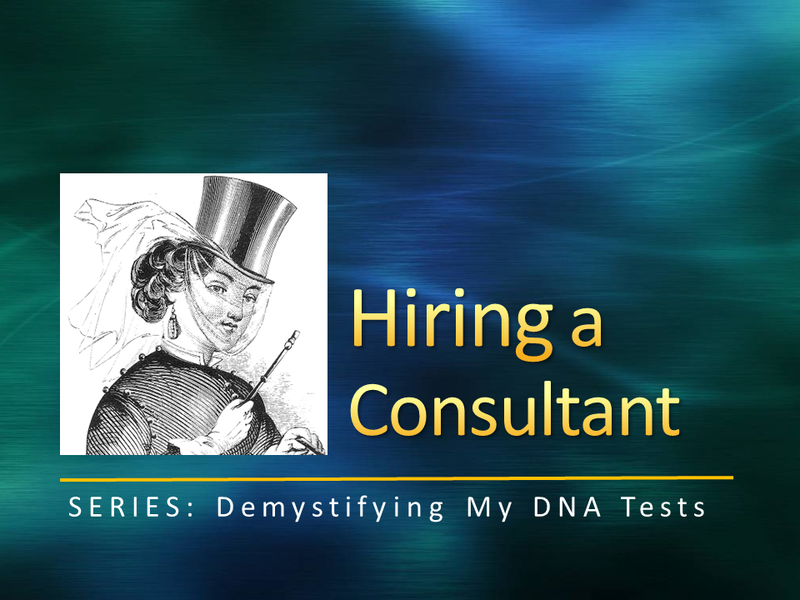 VIEW the first in the series, DNA: Hiring a Consultant (below), wherein Ol' Myrt explains "where she is" in the world of DNA and genealogy, and introduces you to Angie Bush, MS. COMMENT here in DearMYRTLE's G+ Community. Angie Bush, MS (Biotechnology), BS (Molecular Biology), is a professional genetic genealogist in the greater Salt Lake City area where she has established a successful traditional and genetic genealogy consulting business. She volunteers several hours per week at the local LDS Family History Center and the Family History Library lecturing on both traditional genealogy and genetic genealogy skills. Between obtaining her bachelor’s and master’s degrees, she spent several years working in the biotech industry where she gained an in depth, working knowledge of the technologies used in DNA testing. 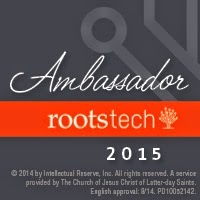 Angie is a member of the Association of Professional Genealogists, the Utah Genealogical Association, the National Genealogical Society, and the International Society of Genetic Genealogists (ISOGG). She is a moderator on the ISOGG FaceBook page and the DNA Newbie board. Angie uses both her knowledge of traditional research methodologies and genetics to solve complex genealogical puzzles. She lives in Sandy, Utah, with her husband of eighteen years and two daughters. Angie serves as Director Area 1, National Genealogical Society. Angie's page on the Association of Professional Genealogists. 2015 Salt Lake Institute of Genealogy Course - Advanced DNA Analysis, CeCe Moore and Angie Bush, co-coordinators.